UN chief Ban Ki-moon on Wednesday suggested there were "other ways" than proposed EU military action to stop smugglers from shipping migrants over the Mediterranean to Europe. "My concern was the idea to destroy all these boats," Ban told a press conference after talks with European Commission head Jean-Claude Juncker. "There may be some other ways... that is the point I expressed in my concerns." On May 18, EU nations approved plans for an unprecedented naval mission starting next month to fight human traffickers responsible for a flood of migrants crossing the Mediterranean from Libya. The scheme backed by foreign and defence ministers in Brussels will involve European warships and surveillance aircraft gathering intelligence and then raiding boats to crack down on people smugglers. But the EU is still waiting for a UN resolution that will allow it to destroy boats that belong to people smugglers in Libyan waters, where political turmoil has created a safe harbour for traffickers. But Ban threw cold water on the idea. "Our priority should be given to life saving and also life saving humanitarian assistance to those people," he said after having also talked to EU foreign policy chief Federica Mogherini. "I believe that military operations has some limited, limited effectiveness," the UN secretary general said. 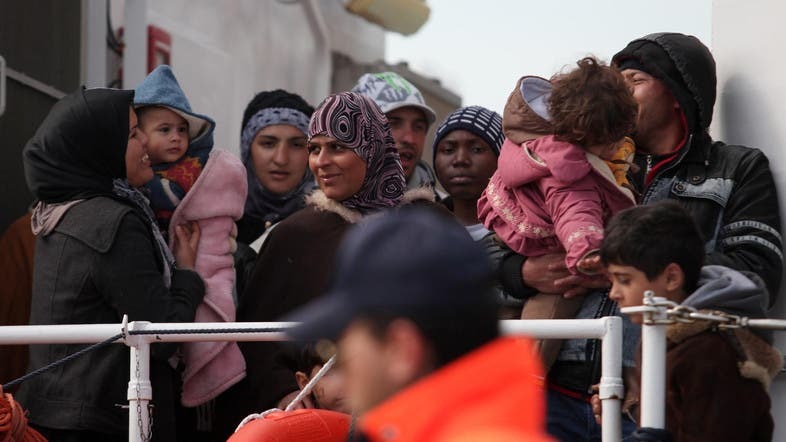 However, Ban praised a proposal by the European Commission, the Juncker-led executive of the 28-nation EU, to have member states over the next two years admit asylum seekers from Syria and Eritrea who have landed in Italy and Greece. "I welcome the announcement by the european commission of a proposal for the relocation of 40,000 asylum seekers as a step in the right direction," he said. "I encourage the EU member states to show compassion as they consider this important proposal to share their resettlement responsibilities," the UN chief said. "This can enable the European Union to address the dramatically increasing flows of people while setting an example for other regions of the world facing similar challenges."